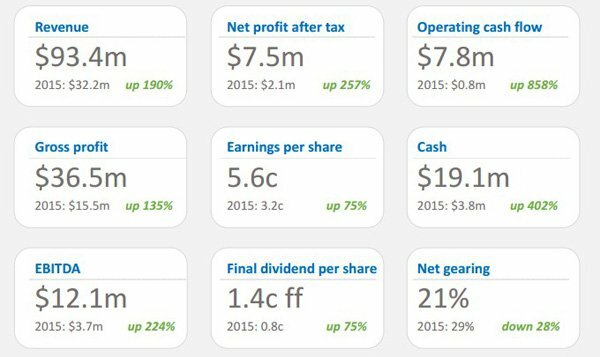 Paragon Care (ASX: PGC) delivered an outstanding performance in fiscal 2016, increasing revenues and net profit by 190% and 257% respectively. 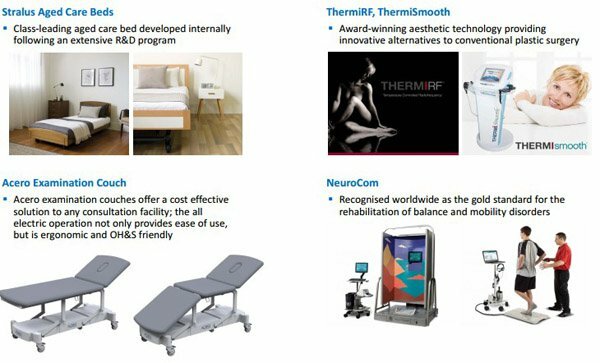 This was assisted by the acquisitions of Designs for Vision, MediTron and Western Biomedical, initiatives that have not only provided additional revenue streams but have expanded the company’s geographic presence and product range. Melbourne-based PGC is a leading provider of medical equipment, devices and consumables for the Australian and New Zealand healthcare market. Many of the products it offers have applications in treating conditions regularly found in the elderly, indicating that the company is leveraged to the ageing population thematic. On this note the company distributes its products to aged care facilities, as well as the broader hospital and community care market. In summing up fiscal 2016 John Hester from Bell Potter said, “PGC has transitioned from a subscale distributor into a vastly different proposition for investors seeking long-term earnings growth in the healthcare sector, without the regulatory risk typically associated with the sector via pricing, funding or compliance”. However, it should be noted that analyst’s forecasts and price targets may not necessarily be met. Similarly, historical trading patterns should not be used as the basis for an investment decision as these may not be replicated in the future. Importantly, strengthening of the business and a broadening of its distribution platform over the last two years has provided new avenues for management to explore in terms of continuing its growth by acquisition strategy. PGC also has a healthy mix of products with good exposure to consumables that fall under the preventative services and maintenance areas, effectively providing income stability rather than relying on the sometimes unpredictable nature of the instrument and device distribution market. Hester said he is expecting further acquisitions in fiscal 2017, noting that gearing was a very conservative 26%. He estimates the company has borrowing capacity up to approximately $40 million without the need to raise capital through an equity placement. 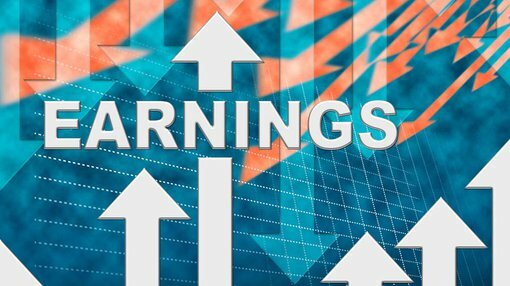 Taking into account the impressive fiscal 2016 result and the prospect of growth initiatives in the coming 12 months, Hester upgraded earnings per share forecasts for fiscal years 2017 and 2018 by 8.3% and 1.3% respectively. He also upgraded the 12 month target price from 91 cents to 96 cents, implying a premium of circa 15% to Wednesday’s closing price of 82.7 cents. This suggests there could be further upside in the group’s share price even after the significant spike that occurred in early August in response to the group’s results announcement. PGC is trading on a fiscal 2017 PE multiple of 13 relative to Hester’s earnings forecasts. This appears conservative when compared with the high multiples usually attributed to companies in the healthcare sector. 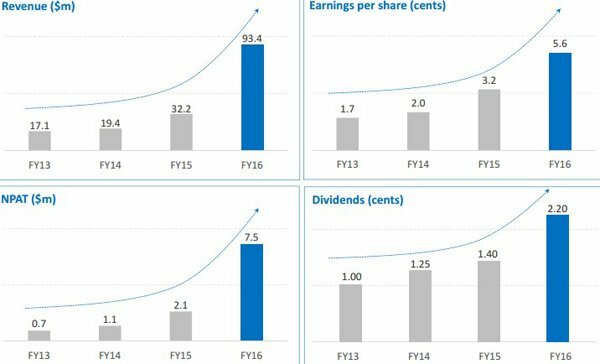 Furthermore, it doesn’t accurately reflect PGC’s growth prospects with Hester forecasting earnings per share accretion of 20% in fiscal 2017.